The Tampa Bay Rays have a three-year window to identify a potential new ballpark site in the region, but Tampa Mayor Bob Buckhorn says he already has the perfect location: a downtown site currently used for an aging low-income housing project. 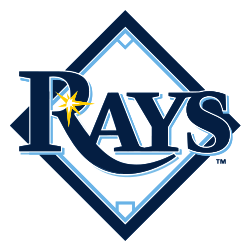 Last week the St. Petersburg City Council voted to allow the Rays to search in Pinellas and Hillsborough counties for a new ballpark site, the first breakthrough in years of negotiations between the two sides. Those two counties comprise most of the greater Tampa Bay area — or at least the areas where a new ballpark would be feasible. That includes downtown Tampa, where local officials have been anticipating a new Rays ballpark for years. A downtown ballpark and the 80 home games it would bring could transform the profitability of those parking garages, especially the Fernando Noriega Jr. and Centro Ybor garages, both money losers for the city. Using existing parking would also mean less parking construction, potentially lowering the cost of a new ballpark, said Tampa Mayor Bob Buckhorn, who on Friday again named the location is his No. 1 choice for a ballpark. The metrics aren’t good: no matter what, a new ballpark displacing low-income housing will inevitably receive lots of criticism, so it will take a more comprehensive plan, including the replacement of the housing units, to work.